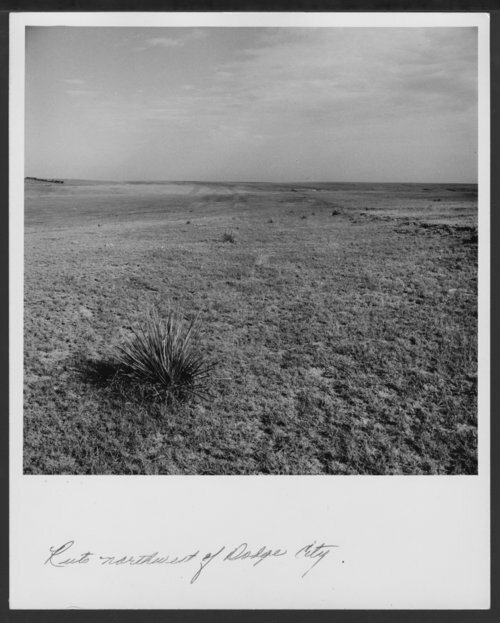 These six black and white photographs show views of the Santa Fe Trail near Dodge City, Kansas. The trial opened as a commerce and military highway, in 1821, when William Becknell lead the first expedition from Franklin, Missouri, to Santa Fe, New Mexico. The route crossed through Missouri, Kansas, Oklahoma, Colorado, and New Mexico.